$10 in advance and $15 day of show online and at the door. 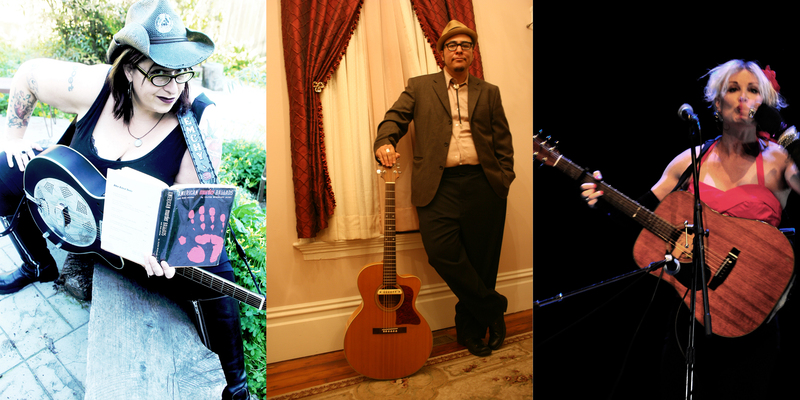 Fresh Meat Productions & Bad Flower Productions present an intimate evening of trans and queer music with singer-songwriters Cindy Emch, StormMiguel Florez and Shawna Virago at The Lost Church. Seating is limited – get your tickets in advance! The Lost Church’s .Private Parlor Shows. are open to all friends and fans of The Lost Church and the performers. Seating is first come, first served. We recommend you buy in advance to ensure being a part of the event, but you can also try purchasing at the door on the night of the show. *This venue is NOT wheelchair accessible. There are 4-5 steps to enter the building and the restroom is now on the same floor as the theater, but it’s two steps down to reach it.